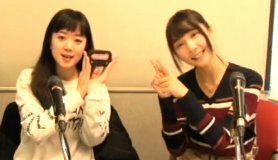 This was the 14th (and final) broadcast of Myoujin WiFi Radio. 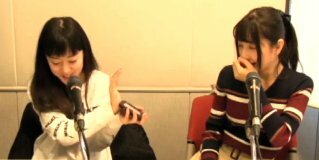 The broadcast date was 12/31, so Sawako and Haruka talked about the New Year holidays. Sawako usually doesn't go home (to Osaka). Sawako and her friend went to Meiji Jinguu once, just to see what it's like. They waited in a very crowded line for midnight. So they celebrated the New Year while waiting in line with lots of other people. Then they ran in, tossed the money, and ran out. But she said it was fun. 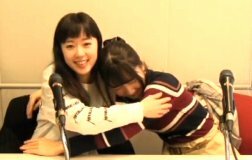 Sawako said 2018 was a year where she made many friends (seiyuu friends). Haruka said her goal for 2018 was to get a driver's license and go to a cooking school. But she couldn't do either of them. So her goal for 2019 was to do at least one of them. She wants a driver's license so she has an id other than her passport. For the commercial skit, Haruka did the role of the boy, and Sawako did the role of the girl (his girlfriend). 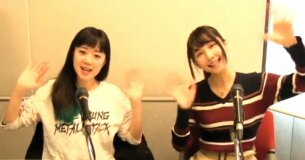 This was the final broadcast of this show, but there will be a new program by Sawako and Haruka starting next week, at the same time. In the foreign otaku event corner, Yuri said she didn't go abroad this year, but she went to many places in Japan. Then she introduced the Comic Fiesta event held in Malaysia. Yuri said cosplayed as female Ranma before, and she would like to try cosplay again.